If you’re looking for plenty of headroom in a portable shed, our Lofted Yard Barns for sale are a good fit for you. 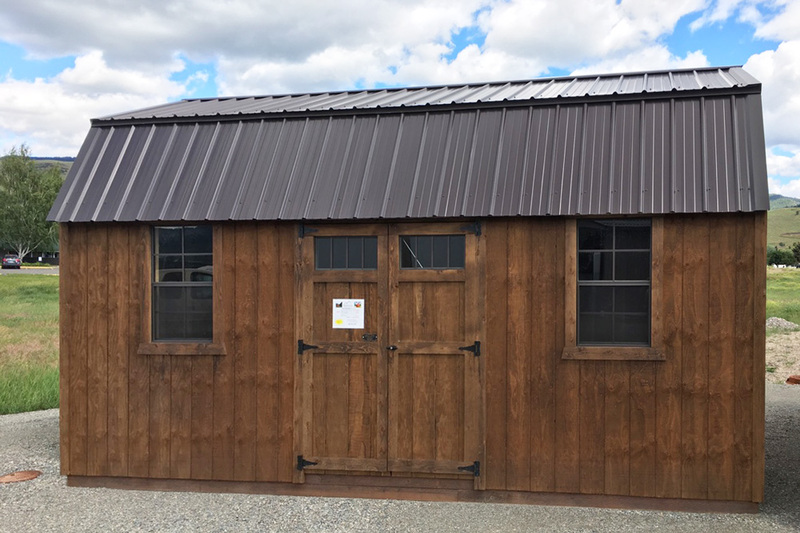 The 6’ 6” walls, barn roof design and overhead loft (loft runs half the length of the building) allows for plenty of overhead storage if you need a place for smaller items. Customization options include door placement, getting it painted or stained, and much more. 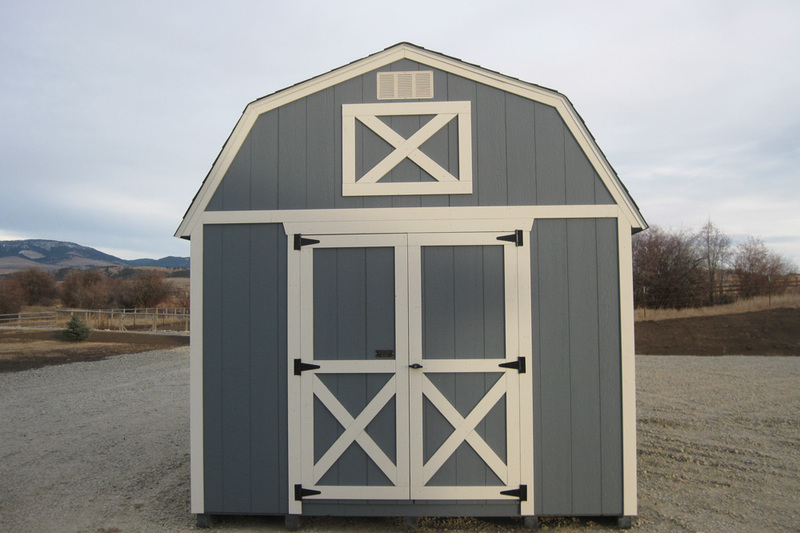 See our portable mini barn for an economical storage option with a barn style roof. 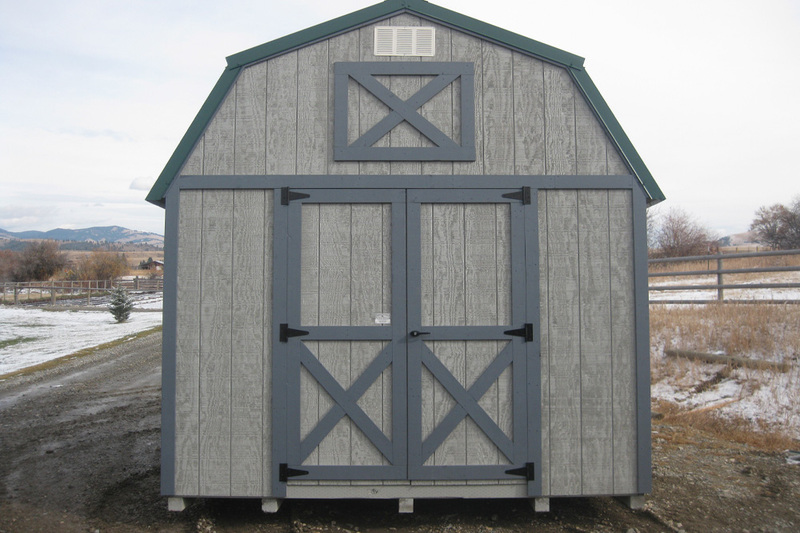 All of the standard features of our lofted yard barns are important. One feature that might not be noticed is the 8”x16” aluminum air vents. Air vents contribute to the air flow in your storage shed which helps to reduce the temperature in your shed on hot summer days. 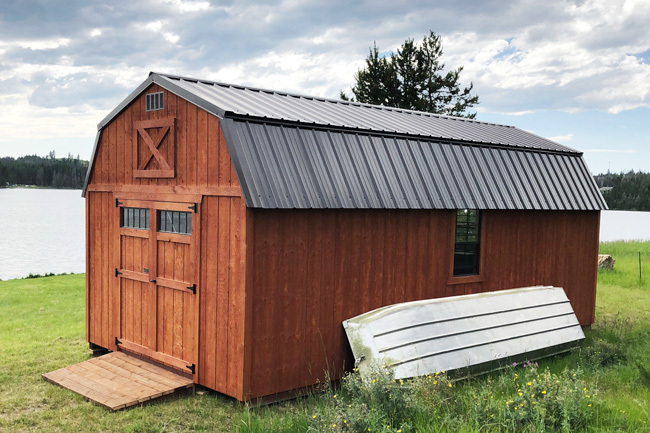 When comparing buildings be sure to check out the standard features which on the Lofted Barn includes a loft half the length of the building. Also see our other storage sheds in MT if you don’t need a loft. If you find yourself in the market for a yard barn you’ve probably been checking prices from various builders. One important point to remember when checking prices is that not all yard barns are built the same. We work hard to deliver a quality building that will give you a good return on your investment over the course of many years. Our prices will reflect our desire to build quality portable sheds for our customers at reasonable prices. 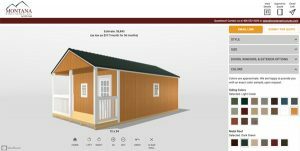 Your lofted yard barn can be customized to meet the demands of your unique situation. 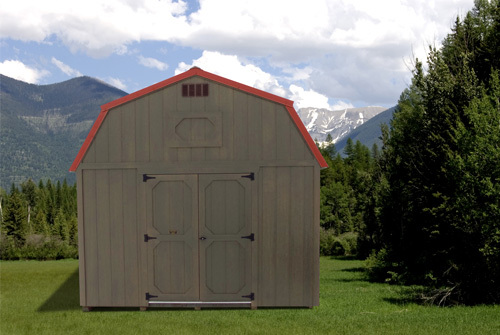 We offer a variety of options that allow you to design a storage shed with your needs in mind. From adding doors and windows to choosing the colors of the siding and trim, you building can be built to suit your tastes. If you need help designing your building please don’t hesitate to contact us. 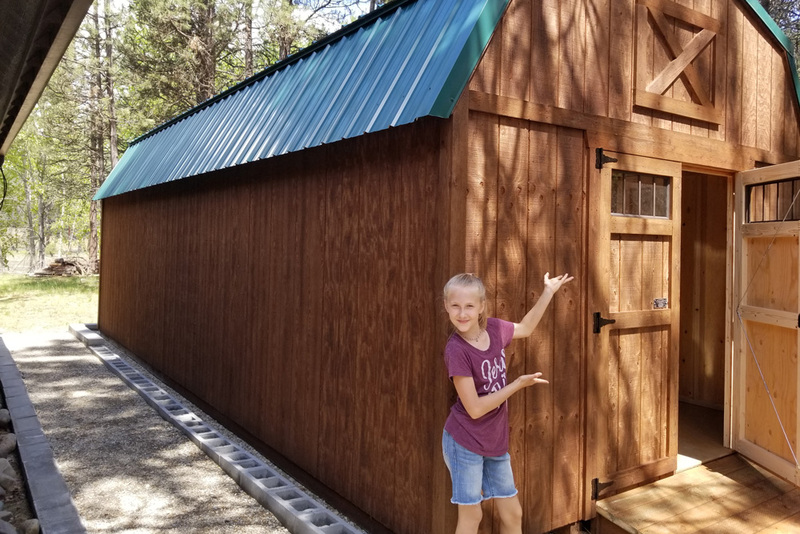 We have dozens of satisfied yard barn customers who are experiencing the convenience and dependability of a lofted yard barn in their backyard. We’re sharing a few of those photos with you to inspire you as you design your own yard barn. 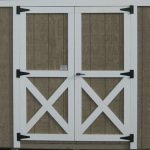 We would love to help you solve your need for more space and build a beautiful yard barn for your backyard. 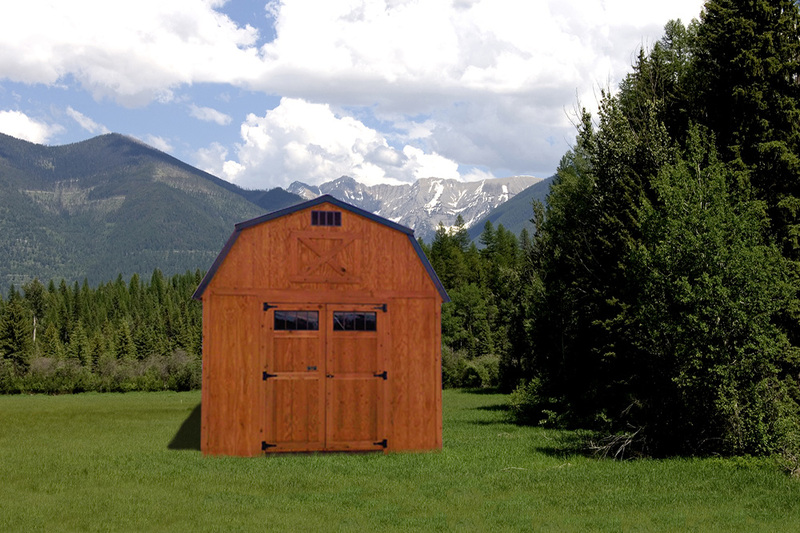 See our barn garage if you're looking for a similar building with a garage door.